Tayberry is relatively new type of summer fruit, a cross between raspberry and blackberry. 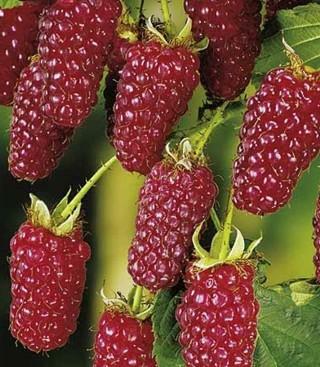 The fruit looks like long raspberry and fully mature it has deep red to burgundy color. 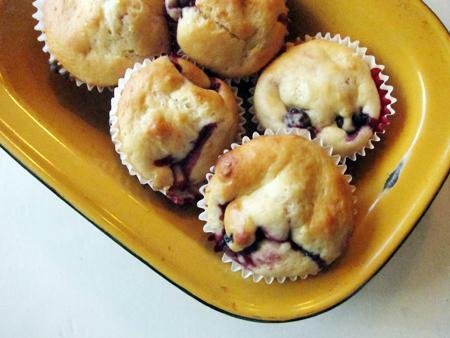 The taste is aromatic and sweet, though somewhat sharp as in blackberries. They are best eaten fresh but you can store them frozen or use for preserves or puddings. Tayberry is a self-fertile plant fruiting on last year's canes. They need support as they cannot climb or vine. Before winter remove all old wood and leave only this year's shoots that will bear fruit the next year. It is soil tolerant but adding organic material will result in stronger plant and better fruit. The soil has to be well-drained. Grow in full sun. Root barrier is recommended to keep unwanted shoots from wandering around. Fully hardy. The tayberry will grow reasonably well in many soils. 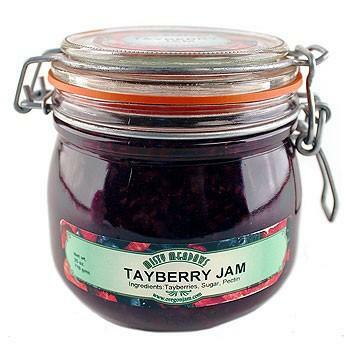 Tayberries produce the most berries when in full sun and in well drained soil with a high amount of organic materials. Supporting the canes is not crucial, but it will help prevent diseases by improving the air flow between branches. Tayberries should be ready to harvest in early July. Frost is rarely a problem, as tayberries flower late in the season; plants need protection below -15 degrees Fahrenheit. Like many plant hybrids, tayberries show good disease resistance, and it has been shown to be resistant to late yellow rust. Like many other berries, the tayberry is low in calories, high in fibre, and like other bramble fruits they contain antioxidants. The tayberry can be eaten fresh or used for making jams, pies, or wine. 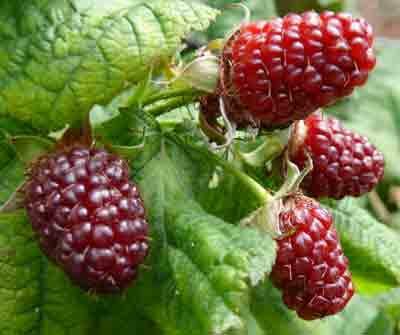 Latin Name: Rubus X, "Tayberry"
This listing is for 20 seeds of Vancouver Island Tayberry plant. These Tayberries are grown on our local farms on Vancouver Island, British Columbia of Canada.